“Mystery of the 2nd Coming” DVD Package is a powerful prophecy package! For those that love Bible prophecy this package is for you. Filled with nuggets of Revelation and insights, the Jewish wedding will open your eyes to Revelation as never before. The Gog & Magog Manna-Fest offer (GM-59) comes complete with a video DVD that was recently taped on location in Israel to show the very places where the battle of Gog and Magog will occur! 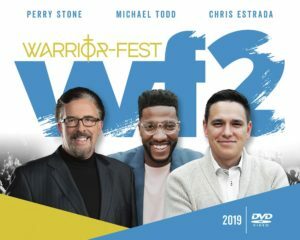 If you want a preview of coming events you must see and hear the message on this new DVD by Perry Stone! Christians, Muslims and Jews all believe a major prophetic war is coming to the Middle East. All three religions identify this battle as the “War of Gog and Magog.” This battle was foreseen 2600 years ago by Ezekiel, who foretold the location of the battleground in Israel. Perry is also including a new 2 audio CD album entitled, Decreeing your Jubilee.” This explains how favor and blessings occur in cycles and seasons as revealed in Leviticus 25. Perry also explains how God counts prophetic time through Sabbath and Jubilee cycles and uses Covenant time to initiate prophetic events. It is time to decree your jubilee! This special offer includes Dr. T.L. Lowery’s book entitled, “Apostles & Prophets, Reclaiming Biblical Gifts” as well as the 2-CD audio album entitled, “How to Flow in the Gifts of the Spirit” and a bonus Music CD. For your personal spiritual enrichment we are offering Dr. T.L. Lowery’s book which explores the facets of apostolic ministry. He clarifies biblical principles concerning the five fold ministry in the book of Ephesians. Because this subject is often poorly understood in the contemporary church, Dr. Lowery?s book is a valuable resource to impart spiritual revelation to hungry believers of all faiths. This spiritual insight will encourage you to pursue God’s gifts and calling in your own life! Also, you will receive a 2-hour audio CD series where I interviewed my father, Fred Stone on the subject of the 9 gifts of the spirit. In dad’s 56 years of ministry, he has personally experienced all 9 gifts of the spirit. While some churches deny the existence of these gifts, this audio series helps to prove that the Holy Spirit is working today and that the 9 gifts will continue until the return of the Lord Jesus Christ. If you are interested in a deeper relationship with Christ and you want to know more about discerning God’s voice then this package is for you. We are also including a special gospel music CD featuring special guests like Pam Stone, John Starnes, Karen Wheaton and many others. 12 of the most requested songs of our ministry are included on this special CD and it will bless you greatly. The Seasons of Joy pkg includes Perry’s 2-hr DVD,”Days of Awe Seasons of Joy” and the 2-CD Album, “The Law of Making & Breaking Vows.” Learn of the special seasons of God. Learn about the Rapture and how the church must be caught up to the Temple of God before Christ can begin the final harvest of the Jewish remnant on earth during the great tribulation. Further, on the audio CD you can hear teaching on the deception being propagated by the preterists that there will be no rapture of the church. This is a powerful teaching with an incredible revelation of the rapture and the bride of Christ! 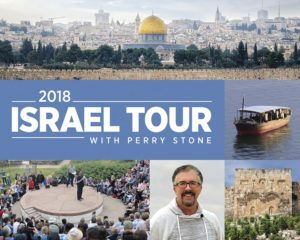 This package from Perry Stone Ministries is unlike any you will ever find! It includes some of the most interesting teaching on the subject of heaven and hell. On this 2-hour spiritual documentary, Perry presents Biblical evidence of the subterranean chambers under the earth that presently house the fallen angels metioned in 2 Peter 2:4, and the lost souls of mankind mentioned in Luke 16. He reveals key scriptures relating how the entrances to the underworld are spiritual gates located under the seas. By studying the five Hebrew and Greek words used in the Bible, you will have a fresh understanding of where the unsaved go at moment of death. 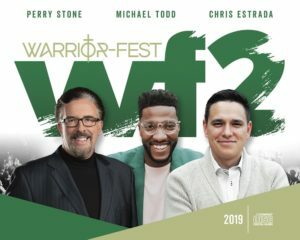 Along with this DVD, Perry is including an audio CD that teaches believers to engage in intercession, moving heavens power to alter dangerous situations. Upon request we are offering the Meal that Heals Communion II package which includes Perry’s book, “The Expanded New Edition of The Meal that Heals” and the communion kit for 2 with a bonus CD on healing. The Ancient Temple Package is now available on DVD and comes complete with 2 DVDs and a bonus CD! The DVD entitled, “Breath of the Holies” is a powerful illustrated message on Secrets of Moses’ Tabernacle. On this 2-hour teaching Perry uses a detailed model of the wilderness tabernacle to discover the hidden meaning of the boards, fabrics, metals, and details of this mysterious tent. Learn about the geographical location of the heavenly temple, the throne room, sacred furniture and worship in the temple. Perry reveals how the earthly tabernacle was patterned after the heavenly one and much more! The DVD “Mystery of the Holy Temple” uses a model of Herod’s temple to reveal great mysteries of the temple and the Temple Mount. You will learn of the mountains of God, hidden chambers under the Temple Mount in Jerusalem, and the possible location of the lost Ark of the Covenant. This Hebraic teaching will open your eyes to one of the great mysteries of God – the sacred temple! Also, we are including the CD entitled, “The Pope, the Eagle, & the Iron Sickle” as a bonus!